I think one of my favorite things about parenting is exposing Sky to new things, and watching her have fun doing them. Waiting her turn in the Tee Box. 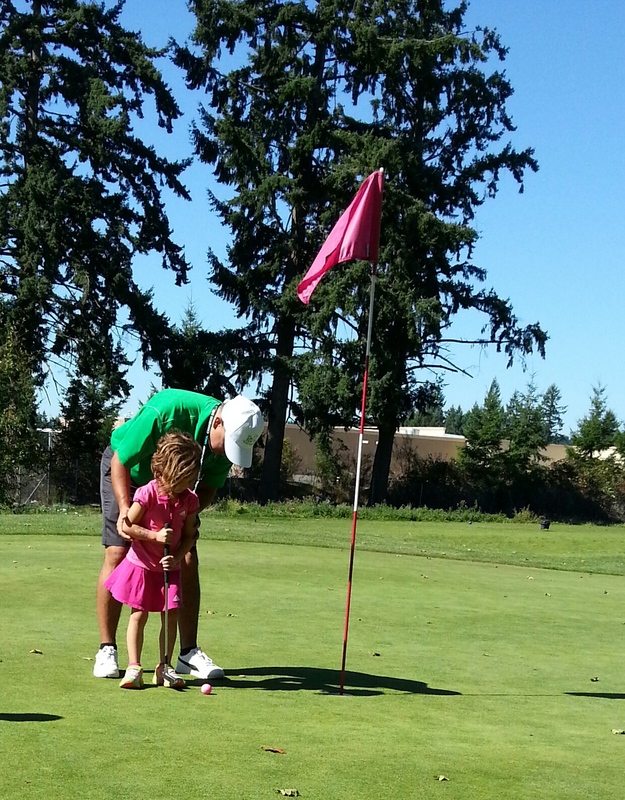 Grammy and Grampy gave her golf lessons for her birthday and her first lesson was Saturday. She’s been talking about golf ever since the US Open, and after walking the course with Jan and I it was all over. She was begging for lessons and her own clubs. 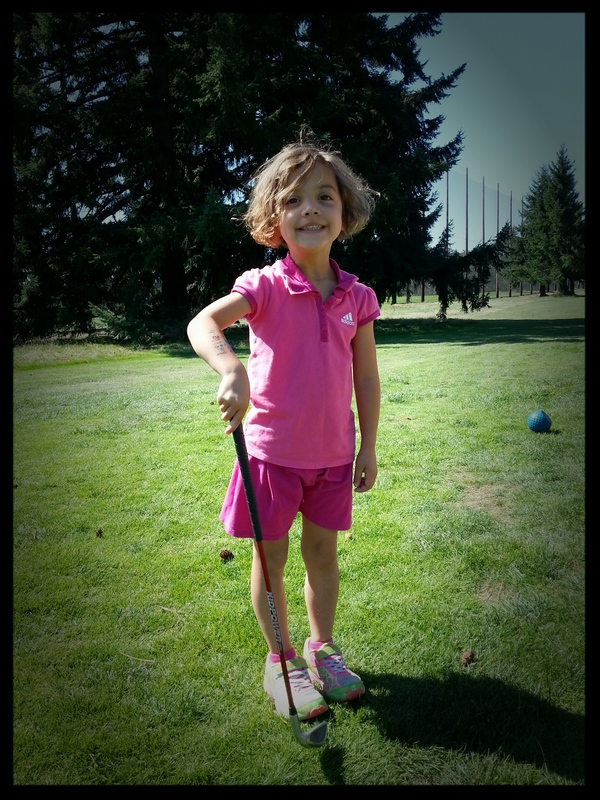 She’s still begging for her own clubs, but the lessons are underway, and so much fun! That grip though…coach says it’s ok for now. I love The First Tee program so far. There are not a lot of options out there, other than private lessons, for under 5’s, so I was excited to find out about The First Tee. I love that’s it about more than just golf. There’s a key value that is focused on at every lesson and the couch is really good at working it into everything they do during the class. Who knew you could learn all about respect for self and others while working on your put?! Started with big rubber balls to get used to the correct arm swing before putting clubs in their hands. Crazy how far Sky can turn her body without moving her feet at all. It’ll be interesting to see what she sticks with over the years. Right now she loves swimming (it’s not negotiable she will take swim lessons until we are confident in her abilities…if she want’s to continue after that great, if not that’s ok as well), running, soccer, golf, and cheering during football games. So many options…so many more to try…so fun watching her figure out what she likes, and what she’s good at. 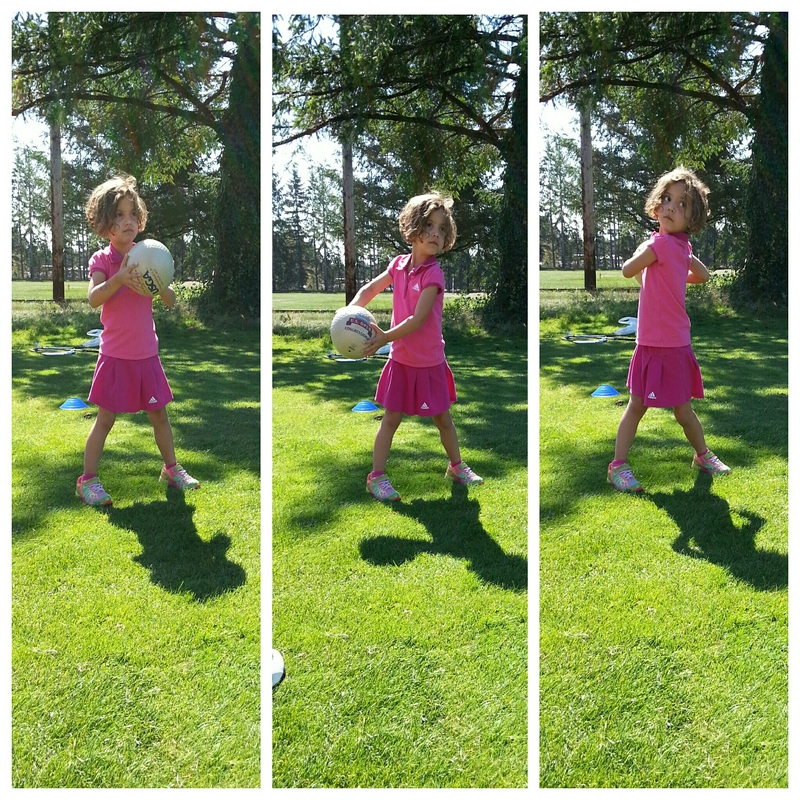 In the meantime we are keeping our eyes out for used clubs, Sky is insistent she wants her own.